So it’s the start of another New Year and I am sure we’ve all made those New Year resolutions and promised that they’ll last longer than the end of January this time round! It’s important to start the year as you mean to go on and that same approach can be taken when it comes to looking after your pet bird. Different sized birds need different levels of maintenance. 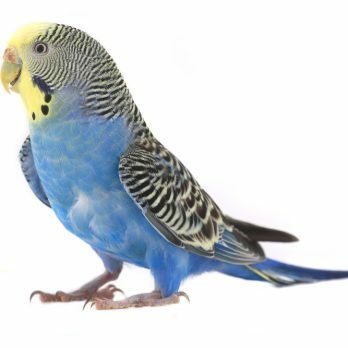 A smaller sized bird, such as a budgie or canary, are easy to care for but give you less back by way of engagement. Medium sized birds, like a cockatiel, are relatively easy to care for but generally are much more engaging. Then we have the larger birds, parrots that are challenging to care for but they can be very entertaining. When it comes to food, your pet bird needs a balanced diet as well as lots of clean, fresh water to stay in tip top shape. Feeding your bird correctly has never been easier than it is now…just buy them some Bucktons aviary food!! In all seriousness, feeding a quality, clean seed mix, alongside fresh fruit and vegetables, perhaps occasional bird treats will give your bird everything they need nutritionally, and also help prevent boredom. Now, did someone mention the word treats? We all enjoy a nice snack from time to time and perhaps even a bit of cake or a baked treat. Well your pet bird feels the same way. They like snacks and treats too. Pieces of fresh fruit and veg appeal to many birds, as does some nice warm porridge. Unfortunately, as with most snacks and treats, they should only be given in moderation…sorry! There’s no getting around it, birds can be messy. Given a chance and the proper tools, they keep themselves clean and well-groomed. Birds spend an average of a third of their waking time preening and grooming themselves, however, keeping the bird’s home clean is your responsibility. The cage should be cleaned every day and the surrounding area will need to be tended frequently. However, it doesn’t need to be difficult. Spreading newsprint or paper towels under your bird’s perches will catch most of their mess. Taking the time to train your pet bird can be a rewarding experience for you and your feathered friend as it’s a great way to spend some good quality time together. Birds are more intelligent than most people give them credit for. The insult “bird-brain” should actually be a compliment because they are extremely intelligent animals. Like most intelligent animals (including us of course), pet birds become bored and restless if they don’t have something to occupy their minds. Be patient with them though. It will be fun and enjoyable but training your bird will take time and remember that not all birds will do the same tricks. Though you expect many things from your bird, know when enough is enough. Lights being on, noisy conversation, or leaving the TV on after your bird’s bedtime is a sure way to invite behavioural problems. We don’t like these things when we’re trying to go to sleep, and neither will your pet bird. Remember that birds need a good 12 hours of sleep a night so try covering their cage with a dark blanket to make sure they get plenty of rest and aren’t disturbed. In the wild, birds will often seek out hiding spots so try to provide them with a place that they can retreat too within their cage if things start to get a little too much for them. From foods to grooming, from speech training to toys, prevent the mundane by adding variety. Try switching the toys and perches in their cage frequently. Present snacks and treats in challenging ways to sharpen their wits and to challenge them – make them work for it! Give them social interaction with people other than your family members and offer them a variety of healthy foods. Your bird’s life will be richer for it.